Lightning strikes, a 45-minute delay, and even a blackout; most would admit it was one of the more unusual evenings of football they’d ever witnessed. But in amongst all the hurdles on Friday night, the famed Shinboner Spirit was what shone through most. 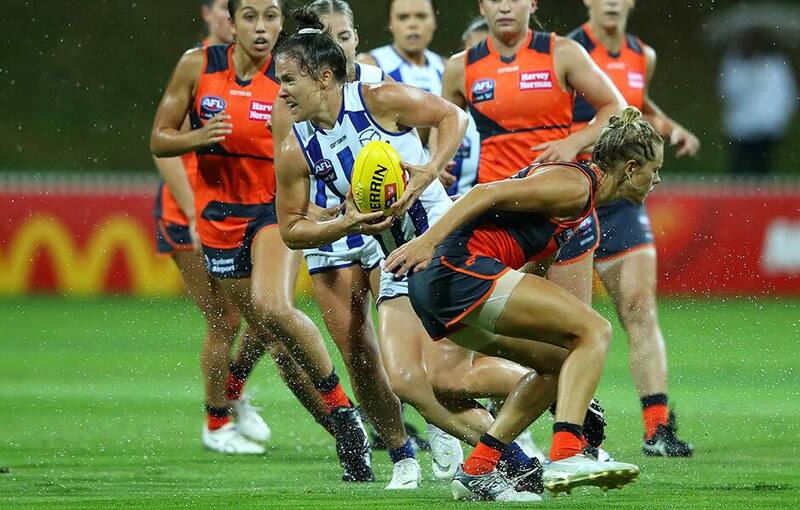 “I’m super proud of the girls’ effort,” North Melbourne Tasmanian Kangaroos captain Emma Kearney said following the win over the GWS Giants. “The two wins now have come from team performance and we’re not reliant on one or two players, which is our key focus going into every game. It makes us really unpredictable and hard to match up on. North was challenged early at Drummoyne Oval, but showed great resilience to overcome several stoppages in play, an injury to on-baller Ash Riddell, and unrelenting weather. The original starting time was pushed back from 7.15pm to 7.59pm local time, while a blackout in the second term saw the players leave the field for around 20 minutes. “It was a really unique situation – I've never experienced that before,” Kearney explained. “Obviously I’ve played a fair bit in the wet coming from Victoria, but not lightning like that and on and off. “For us it was about switching off when we knew there was going to be a delay, and then when we were about to jump on the field we knew we had to turn it on again. North AFLW coach Scott Gowans couldn’t have been more pleased with the efforts of his players. “It came from the leaders … they drove it and everyone stayed composed,” he said. “Resilience is a big word we’ve used throughout the program; they weren’t flustered, they just stayed calm and we got the message that it was going to be five minutes, then another five minutes … it’s just the way it is. 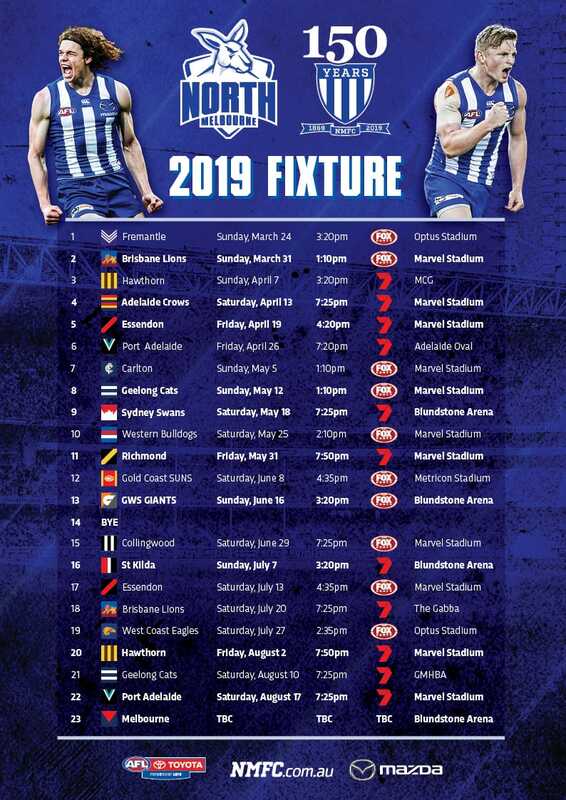 A 25-point win has the Roos sitting clear on top of the AFLW ladder, with a big clash against the Western Bulldogs next Friday night in Launceston to come. “It’s a tough competition we know that. We just know that with AFL Women’s we’ve got to win every single game. We’ve got a tough draw,” Kearney said. After arguably a best-on-ground performance herself, Kearney said she is loving her time at North and the strong culture among the playing group and club alike. “The most important thing is the players are feeling really valued here at the club and that makes it easier for them to perform on the track,” she added.